Schlock-Wire: Scream Factory Unleashes Sci-Fi/Horror Hybrid EJECTA On Blu-Ray – Schlockmania! 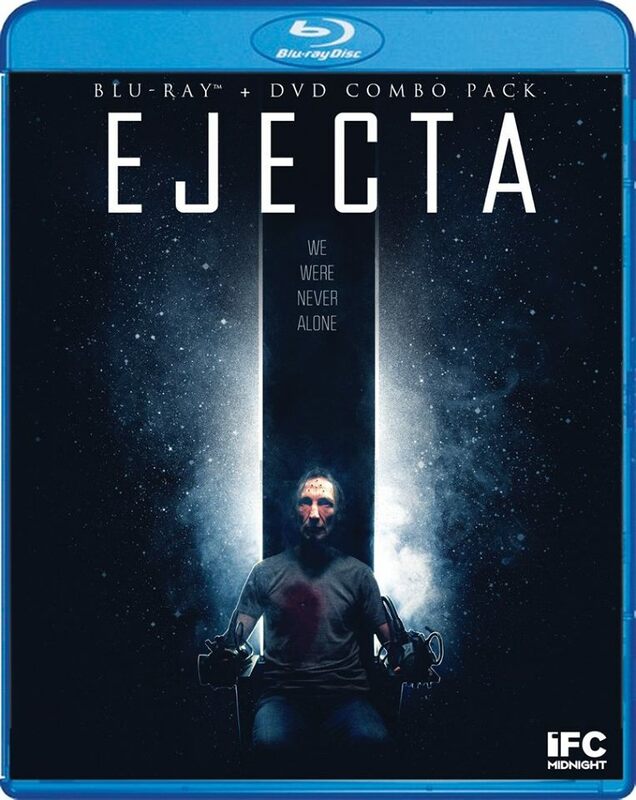 Scream Factory’s line of IFC Midnight titles will continue on in August with the blu-ray/DVD combo set release of Ejecta. The premise of this film combines the alien invasion film with the horror flick and throws in a dash of the political paranoia movie. It’s also worth noting that supporting cast features Dee Wallace of The Howling fame. Read on for all the grim genre-bending details, including a plot synopsis, cover art for the set and a theatrical trailer. From the writer of Pontypool and Septic Man comes Ejecta, the tale of William Cassidy, a man haunted by a lifetime of alien encounters, searching for answers while evading menacing government agents. With an ingenious structure that stylishly interweaves William’s past and present, this sci-fi horror feature will makes its Blu-ray debut on August 18th, 2015 from Scream Factory, in partnership with IFC Midnight. A horrific alien invasion forces two men to fight for their lives during one universe-altering night of terror. This nerve-shredding film stars Julian Richings (Cube, X-Men: The Last Stand) in a tour-de-force performance as William Cassidy, a man who, following decades of frightening extraterrestrial encounters, is now trapped in a living hell of fear and paranoia. On the evening of a massive solar flare, Cassidy invites paranormal researcher Joe Sullivan (Adam Seybold, Exit Humanity) to his secluded home in the woods. What occurs there will change both men—and possibly the Earth—forever. Directed by Chad Archibald (The Drownsman) and Matt Wiele (Septic Man), the film also stars Lisa Houle (Pontypool) and Dee Wallace (The Howling). Ejecta was produced by Jesse Thomas Cook, John Geddes and Matt Wiele through their genre production company Foresight Features.